Have you ever felt as though God did not really love you? That somehow there was a footnote excluding you from every Scripture passage that offered His mercy and healing? You are not alone. Many Christians limp along, hurt by rejection, emotional damage, confusion, and sins that won't quit. What prevents them from receiving the wholeness the Lord offers? Carolyn Jones says that we hide from ourselves and from the Lord. We put up masks that cover up the painful realities that we know are there but are unwilling or afraid to acknowledge. We're looking for protection, and what we get is insulation from grace. 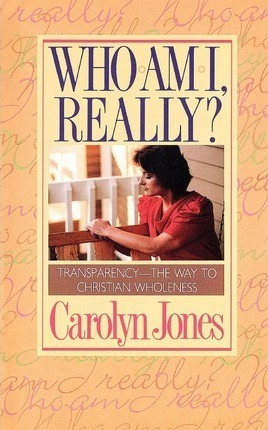 In this brightly written book, Mrs. Jones urges us to become transparent-to admit to ourselves and the Lord who we really are She uses personal stories, examples form Scripture and experience to show us how to open ourselves to the healing gaze of Jesus. Carolyn Jones ministered at conferences, retreats, and seminars throughout the nation. Throughout her lifetime she counseled people about personal problems.